닥종이에 찍은 목판본으로 크기는 세로 24.5㎝, 가로 16.6㎝이다. 이 책에는 인도의 구마라습(鳩摩羅什)이 번역한『불유교경』과 당나라 영우(靈祐)가 지은『위산경책』이 함께 들어 있는데,『불설42장경』과 합쳐서 불조삼경(佛祖三經)이라고 부른다. 책 끝에 있는 기록을 통해 고려 공민왕 10년(1361)에 전주 원암사에서 간행하였음을 알 수 있고, 글씨체와 인쇄상태로 보아 가섭마등과 축법란이 쓴 원본을 보고 다시 새긴 뒤 찍어낸 것임을 알 수 있다. 원본『불설42장경』을 토대로 다시 새긴 뒤 찍어낸 책들이 몇 종 전하고 있는데, 그 중 가장 오래되고 뛰어난 작품이다. Buljo samgyeong (The Three Sutras) is one of Buddhist scriptures introduced from India to China, was translated into Korean by Gaseommadeung and Chukbeomnan in the Late Han Era. 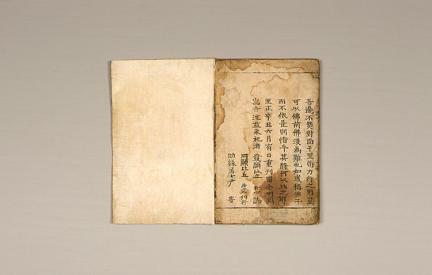 This book, divided into 42 chapters, contains teachings of Buddhism. 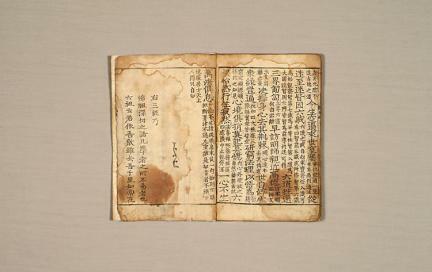 This woodblock book, printed on the Korean paper, is 24.5 centimeters long and 16.6 centimeters wide. It contains a scripture called ‘Buddha's Teaching’ translated by Kumārajiva of India and ‘How to Be Awakened’ written by Yeongu of the Tang Dynasty. Those three including the ’42 Chapter Buddhist Sutra’ are called the Three Classics of the Buddhist Scriptures. According to record in the end, it assumed to have been published at Wonamsa Temple in Jeonju in the 10th reign of Goryeo King Gongmin (1361). 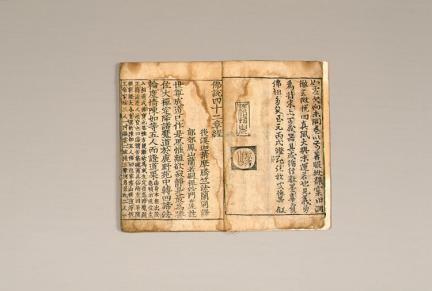 It also assumed that it was printed after it made a copy of original book written by Gaseommadeung and Chukbeomnan, judging from its calligraphic style and printing condition. The ‘42-Chapter Buddhist Sutra’ is the oldest and the most magnificent book among the ones reprinted based on the original book, ‘The Forty-two Buddhist Sutras’.